1. 24-Hour Food Deliveries. If it's late, it's free! 3. Books. I have nothing against eBooks and audiobooks; I've read/listened to a few. But call me old fashioned; I'd much rather read a book I can actually hold. You know, turning the pages, bookmarking, and all that jazz. 4. Live Concerts. Concert DVDs are alright, but nothing beats live. 6. Anything and Everything Touch-Screen. Swish and slide! 8. TV/Computer/Movie Theater/Radio/iPod/Cellphones. Any and all portals of media and communication really. 9. Couch Surfing. Would love to do this someday. 10. 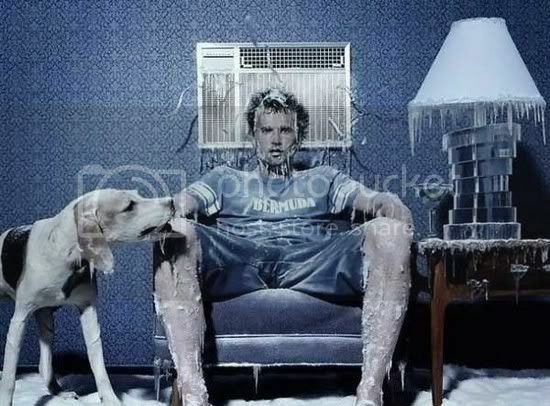 Airconditioning. In its most literal sense. If you live in these parts, you'd think it was very cool, too.